We previously told you that Tecno was planning to unveil to unveil its next device in the Camon series. Well, they finally did it by unveiling the Tecno Camon X and Camon X Pro and a new smartphone series called the F series. at its 2018 Global Spring launch in Lagos, Nigeria. 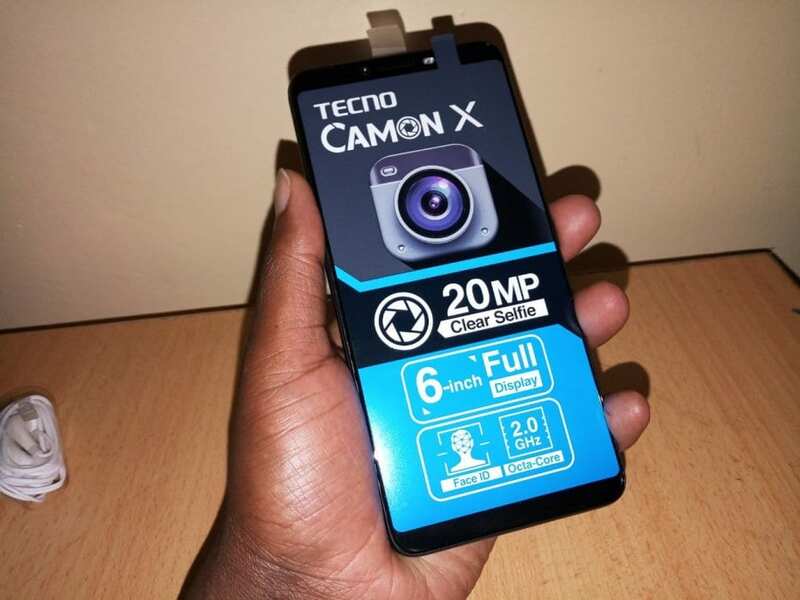 The Tecno Camon X Pro is the first 24MP selfie camera smartphone With a dual ISP image processor while the Camon X features a 20 MP selfie camera. Both devices debut a new Face ID technology that can be used to unlock the phone when lighting up the screen. By grasping the face information, the Face ID has 50ms recognition rate and is more functional that the fingerprint identification feature. Speaking during the launch, Andy YAN, Vice President of Transsion Holdings reiterated the Tecno’s innovative culture from its formative years till date. He dissected the challenges of emerging markets, their realities and TECNO’s commitment to continually rollout innovative products that are very competitive and accessible to the end users. “At TECNO, we do not adopt a one-size-fits-all approach in developing our products. We take insights from our consumers’ habits, preferences and needs to develop the next groundbreaking product that fits perfectly into their lifestyle and consequently displaces the competition”. Commenting on the Camon X Pro, Philex MENG, CMO of TECNO Mobile said the latest CAMON duos are designed to deliver unimaginable precision and appeal to the consumer – a proposition the company is proud of.